Vegetarian restaurants are actually rarer than you may think in Tokyo. I selected two restaurants where you can enjoy vegetarian cuisines originally derived from Buddhist monks with diet restrictions. 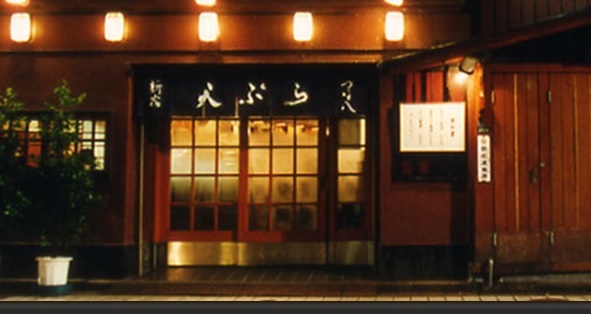 At Tsunahashi, you may want to sit at the counter. A chef cooks right in front of you and you can enjoy fresh sesame oil-fried vegetable tenpura one by one. Tenpura is a different food when you eat at Tsunahachi. You can simply request for veggies only when you order and they will create customized prix-fix menu for you. He-Gi Soba is a traditional soba originated from Ni-ga-ta, North of Japan. He-gi Soba is unique in a way that it uses seaweed as an ingredient and greener than common soba. When He-gi soba is served, small amount of batches are laid out just like fish scale and it is visually beautiful. What to drink with He-gi Soba? Sake, no doubts!